Last spring I started to travel a lot (almost 75%) for my job and my yoga practice started to suffer. Long days at the client sites and late nights at client dinners did not leave much time to practice. I started to use my busy schedule as justification for not practicing yoga. I went days at a time without getting on my mat or taking the time to check in with myself and get centered. Eventually, I began to miss yoga and the yoga community. Two weeks after being on the road, I decided that something had to change! I forced myself to leave work on time (instead of staying an hour or two late), venture out on my own, and visit a local yoga studio. Getting back into a studio was exactly what I needed. I felt at home on the mat despite being in a foreign place. I dedicated that practice to my yoga journey. I told myself that I would start using work travel as an opportunity to try out new studios and different teachers. I stayed true to my promise. In the past year, I have been to yoga studios in over ten states. Every yoga studio has been different and every teacher has something unique to share. I am thankful for each and every class. I’m glad Refresh is warm and open to the business traveler too! No matter where they are from, there is an universal connection among yoga practitioners. 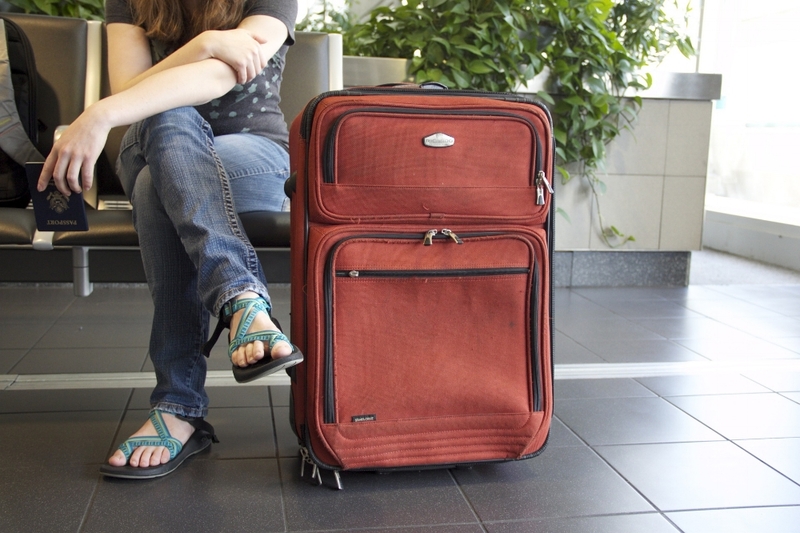 What to do when you are on travel and there are no yoga studios within a 20 mile radius? Don’t worry; I have been there! Luckily, you do not need a studio to practice yoga! You can practice yoga wherever and whenever! I have practiced in hotel rooms, gyms, parks, and even in the airport (Yes, some airports have yoga rooms!) Online videos and tutorials make it easy. Online classes range from 5 min to an hour. When you get back, you can feel confident walking into your home studio knowing you haven’t missed a beat. 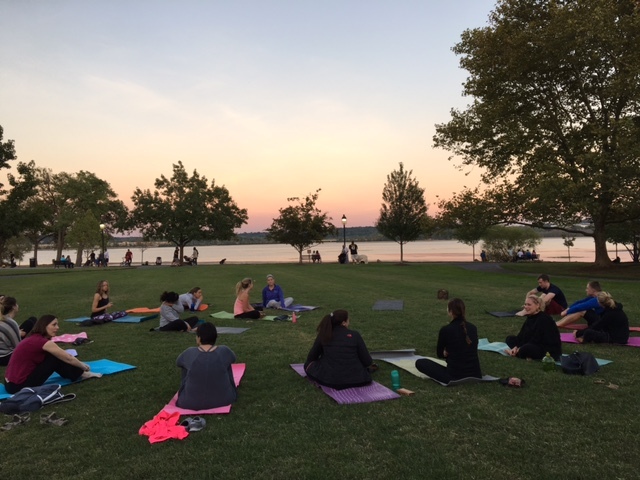 Amanda led this beautiful sunset class in Founders Park.